AUSTRALIA'S best known bachelorette Sam Frost is back to banish her dating demons. 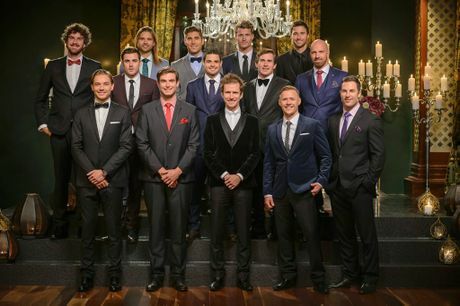 She's single and ready to mingle, as seen on tonight's debut of The Bachelorette Australia. It's easy to understand why the 26-year-old wants to be known as more than that girl who was dumped by The Bachelor "love rat" Blake Garvey. Whether or not having another go on the reality dating show merry go round is her answer to love, well, only time will tell. Tonight's premiere saw Frost meet 14 eligible bachelors, several of which made efforts to stand out from the crowd. 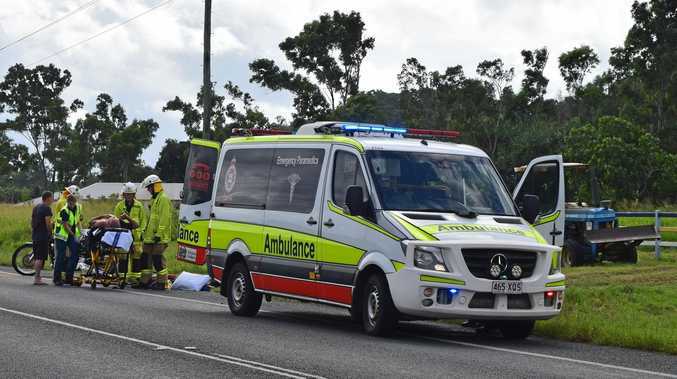 Several produced flowers, one gifted Frost a pair of flat shoes and one arrived on an electric skateboard, but Queensland sleep technician Drew surprised her with a barn owl landing on his hand. Speaking of birds, the production staff placed a not-so-subtle reference to the peacocking that is sure to go on throughout the show as the men vie for Sam's attention. The 14 suitors agreed on a "bro code" early on in the cocktail party, agreeing not to interrupt another man's one-on-one time with Sam during the evening. But the code didn't last long with international model David interrupting plumber Dave's conversation with Sam. She didn't seem impressed, though, with his list of modelling achievements. Earlier in the evening David had a Zoolander moment, telling one of the other bachelors that he worried sometimes he "thinks too much", quickly adding "but I don't". But it was Sasha who made the best first impression, earning the first rose from a tongue-tied Frost. Byron Bay-based charity ambassador Shane and marketing manager Luke were sent home in the first elimination, with Frost to choose a man for her first single date tomorrow night.